Populated celles. They have not been aggregated, so the overall black color corresponds mostly to the adjacent limits. This is not, as I often do, a map that has been done by someone else, but rather raw data from Eurostat that I have represented. Some months ago I commented on a project concerning a population grid, 1 km wide, covering the whole of Europe, as to give a better vision on some issues, as population, whose rendering following administrative basis was far from good. So, there I went to the Eurostat specific site ((http://epp.eurostat.ec.europa.eu/portal/page/portal/gisco_Geographical_information_maps/popups/references/population_distribution_demography) to download the GEOSTAT 1 km2 population grid, with associated 2006 population data. The density map is somehow known as we know the main cities and axis, but what is less known is the map of the void spots (in fact, Eurostat does not produce a polygon for those 1 sq m cells without residents). As often for European data, there are countries out of the Union (Switzerland, Norway, Iceland) that are represented, while others (Cyprus) are not there). The available cells (the populated ones, almost 2 million) help get the voids by exclusion; at first glance you can see substantial void areas in Spain, the Alps, the Charpatians, parts of Greece and the Scottish and Scandinavian mountains. But it is far more interesting to better portray the empty areas. Green cells have no population. So much more void… but there is a need to cultivate and to produce the environmental services needed by the population. In February 2009 the Auken report, by a Danish member of the European Parliament, became news in Spain. The reasons are the complains of citizens of other EU member states that had bought homes in Spain to find out they were affected by the urban planning laws of the Valencia region, with fast management procedures that they understood as opposed to their property rights. The report analyses the fast urban growth of the country, its effects on the environment and other issues. Urban planning is central, but not as such (it is a matter of the States), rather as something that impacts the rights of the citizens. An interesting reading on the limits that the Union sets to the power of the States. Since this report, there have been legal changes in Valencia, and there are already blueprints of a new law that would group what now is a too extensive legal corpus. The report was seen as a good thing by many in Spain: those same problems also concerned Spanish citizens. Here the Union gave a broader view to adopt a decision on the effects of a temporary and state-specific issue (the real estate bubble). Only a minority (or at least this is what I have perceived) saw that as an encroachment on the sovereignty of the State. Natura 2000 is an ecological network, including zones designated according to the Birds Directive and the Habitat Directive. It must ensure the continuity of species and habitat types in Europe as a guarantee of biodiversity. Each state of the European Union proposes, for each of the biogeographic and marine regions it encompasses, a list of spaces complying with criteria set in the annex III to Habitat Directive. After a long administrative procedure, these are declared Special Areas of Conservation. States also propose Special Protection Areas for birds. Summarizing, states draw the line and Europe integrates the area in its network. The EU does not impose a zone, but once the area is approved as part of Natura2000, it is protected by European law. Therefore, when problems arise, the last word comes to the Court of Justice of the European Union, in Luxembourg. 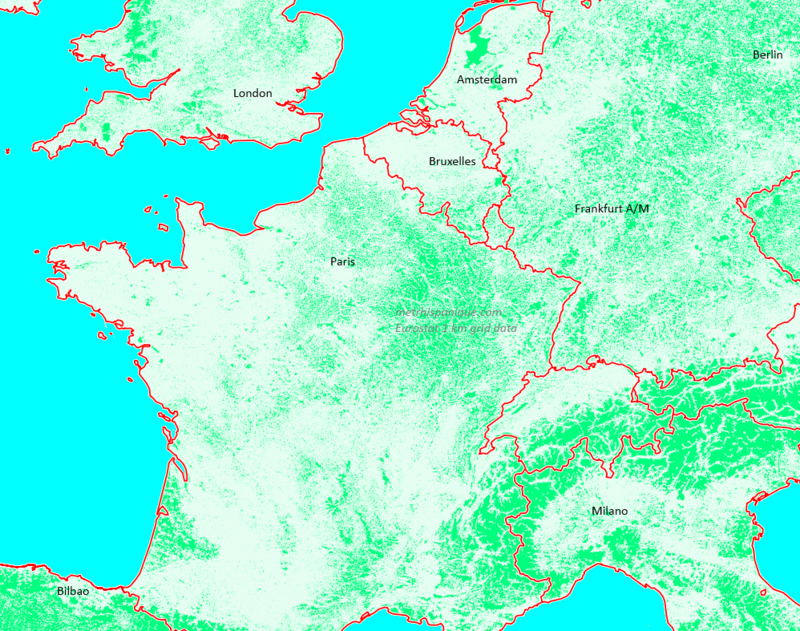 The zone must be drawn according to scientific criteria, but the line can also be subject to political opportunity criteria; few of the large European cities have Natura2000 zones in their metro areas, and land use changes for infrastructure or urban growth can challenge that protection. The State must follow a complex path to change these decisions, and in case of trouble it is in a rather different position when facing the Luxembourg Court if compared to a national Court. – C-335/90. Santoña marshes. Spain. Wastewater, aquaculture, roads, embankments. – C-44/95. Lappel Bank. UK. Exclusion of an area from a Special Conservation Area for birds due to economic considerations. A state can receive a similar answer from its national supreme court, but the fact that Luxembourg speaks raises more buzz in the press.